Go on an adventure in Africa! Signature Travel Insurance policies start at just $20. 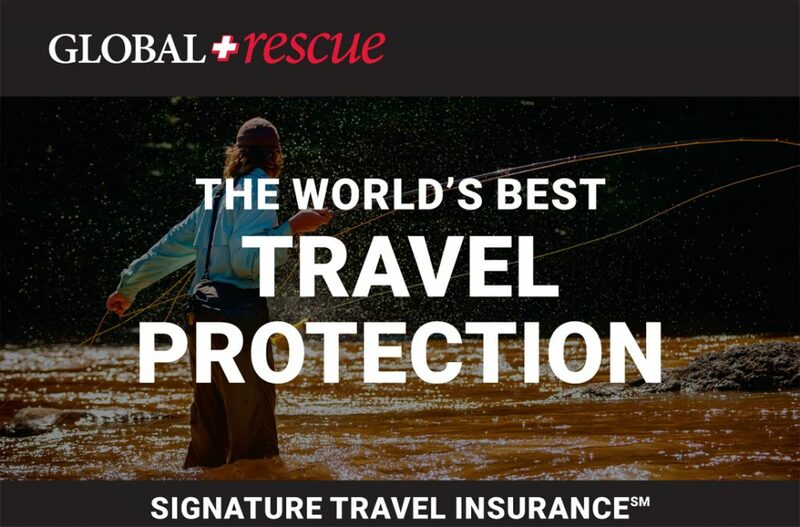 We strongly recommend that you learn more about Global Rescue’s Signature Travel Insurance by visiting https://ss.globalrescue.com/partner/safaricorp/index.html (or calling +1 (617) 459-4200. A great hunting trip shouldn’t involve stress and worry if something goes wrong. A Global Rescue membership will give you the comfort of knowing that no matter what happens, you’re getting home safely. Visit https://ss.globalrescue.com/partner/safaricorp/index.html or call +1 (617) 459-4200 to learn how to enroll. When you travel, chances are good that your personal medical insurance won’t bring you home or get you the emergency medical care you need. Global Rescue will! Global Rescue could save your life. The Namibia Safari Corporation works hard to ensure you have a safe and exhilarating experience while on our trips, but unavoidable incidents unfortunately do happen. Make sure you’re covered by the premier crisis response provider before you travel. Global Rescue is the world’s premier provider of medical & security advisory and evacuation services. Any time you have an illness or injury requiring hospitalization or face imminent bodily harm more than 100 miles from home, Global Rescue will reach you, stabilize you and bring you home, by whatever means necessary. Global Rescue memberships are all-inclusive and have no deductibles or hidden costs. Memberships are available in short term, single-trip options or annual plans protecting all travels, both domestic and international. Standard Trip Insurance is an important financial planning instrument but is not designed to provide immediate emergency services. Although some trip insurance programs claim to offer medical evacuations and repatriations, the benefits are written with extensive limits and are designed more for reimbursement than timely emergency action. Would you rather a critical care paramedic backed by Johns Hopkins or an insurance claims adjuster answer the phone during your emergency? The Namibia Safari Corporation strongly recommends that you purchase a Global Rescue membership to protect yourself and your family when the next emergency occurs.